On 22-24 October 2018, the NETTAB 2018 Workshop ‘Building a FAIR Bioinformatics environment’ will take place in Genoa, Italy. Next to the main programme, the workshop features two tutorials and an satellite hackathon event. Tutorial organised in collaboration with ELIXIR. Bioschemas is an open community project aiming to contribute with Life Science specifications to schema.org. Schema.org provides an easy way to add structured markup to web pages thus corresponding resources become more findable and interoperable. Building on schema.org, Bioschemas specifications include new types and properties, but also type customisation and usage guidelines, a.k.a. profiles. The Bioschemas approach relies on simplicity, with just enough guidelines in schemas such as ‘DataSet’, ‘BioChemEntity’ and ‘LabProtocol’ to enable FAIRer data resources. During this half-day tutorial, people will learn about Bioschemas, its approach and its principles. 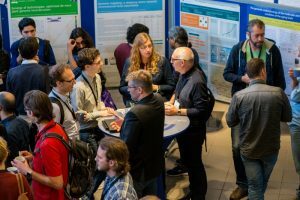 Talks will be combined with hands-on activities so attendees can use Bioschemas profiles to better understand them, discuss on new specifications, and explore how extracted data can be used. People bringing their own data can either use existing profiles to markup their data, or contribute to tasks under development or to new profiles. This workshop is for Data Stewards and Bioinformaticians who are assisting life science researchers with the data management and data management planning in their projects. The ELIXIR Data Stewardship Wizard is a solution for ‘Smart Data Management Plans for FAIR Open Science’: incorporating expert knowledge on FAIR data management and data stewardship into daily practice, directly benefiting data-intensive research projects. In this workshop, participants will be shown how the ELIXIR Data Stewardship Wizard can guide researchers towards FAIR data stewardship, how it can help data stewards to stay organised, and how it can help data experts of all kinds to advertise their expertise. We will walk together through: 1.how the wizard works for researchers, 2.what kind of knowledge is captured there, 3.how the wizard can be customised. This entry was posted in General, Event.